How does a $49 flight to the Caribbean sound? Or a $99 flight to Europe? 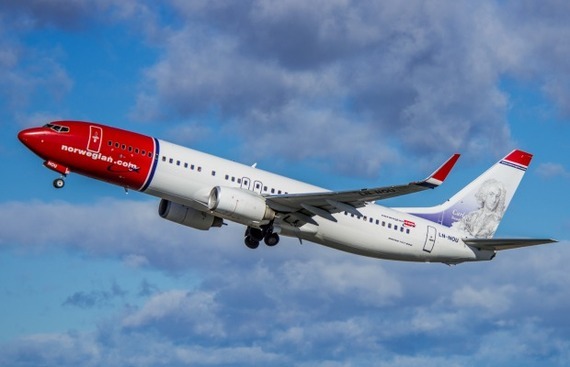 These ultra-affordable fares are available as part of Norwegian Air Shuttle's recently-launched holiday sale. All flights offered are non-stop. Fly from Baltimore, Boston, and Fort Lauderdale to the French Caribbean destinations of Martinique and Guadeloupe for just $49. Other departure cities including New York are available from just $20 more. Flights departing from JFK airport to Oslo start at just $99. Other options include Boston to London for $96, San Francisco to Stockholm for $139, and Los Angeles to Paris for $175. So what's the catch? These rock-bottom fares only apply to the first leg of the trip. The return flight costs more. So, for example, if you're flying from Boston to Martinique in January, your departure flight will cost $49, but your returning flight will cost $129. This raises the total, round-trip fare to $178 -- still an amazing deal for a flight to the Caribbean, for sure, but it's something you should be aware of when you book. Also, keep in mind that budget-focused Norwegian Air Shuttle keeps ticket prices low by charging extra for baggage, reserved seats, and food. So make sure you do the math to make sure you're really getting a great deal. This sale ends on December 15, and fares are subject to availability.